THESSALONIKI, THE IDEAL DESTINATION FOR INCENTIVES, CONFERENCES, CONGRESSES, MEETINGS, BUSINESS TRAVEL, INTERNATIONAL CULTURAL AND SPORT EVENTS. 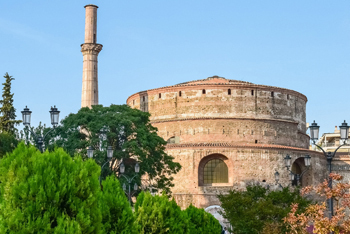 Visit Thessaloniki, the second largest city of Greece, the cultural capital of the country, a destination packed with life, worth being included on every traveller’s itinerary, with rich cultural life, numerous museums and archaeological sites, amazing churches and vibrant nightlife. With a long history dating back over 2.000 years, being concurred by Romans, Byzantines and Ottomans, hosting communities from Minor Asia, Black Sea, Istanbul while being one of the most important Jewish cities in Europe, to finally suffer the Great Fire of 1917 that destroyed a large part of the city, Thessaloniki is the absolute crossroad between east and west. Nowadays the city is a major commercial centre for the Balkan Peninsula with great luxury hotels, a golf course and a casino, along with its conference and events facilities including its renowned Convention Centre to host numerous events and exhibitions annually. The hip nightlife, the chic restaurants with exquisite local cuisine and a great dose of culture in concerts and art shows are all part of Thessaloniki’s atmosphere, one’s of a modern European city, to make up the picture of the so called Nymph of the Thermaic Gulf. Thessaloniki as the second largest city of Greece and the leading city of Macedonia is a major hub in the Balkan area can be easily accessed by air as it connects directly with Athens and some European cities with low fare as well as regular flights daily, especially during the summer period. Once reaching the airport, it is easy for the visitor to get to the city centre of Athens by regular bus services, or taxi. Rail services link Thessaloniki with, Athens and some towns of Macedonia and Thrace, while there are additional lines through Fyrom, Bulgaria and Istanbul, to connect the city with Western, Eastern Europe as well as Turkey. There a faster or slower train you can choose between, but the wonderful scenery of untouched nature at Greek countryside is a well worth reward for every traveler. 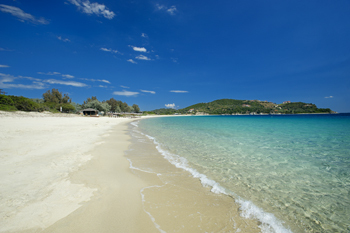 Local coach services also connect the city with Athens and peripheral towns while car rental is also an option, passing through the newly constructed national road, around the legendary Mount Olympus with many opportunities for a stop over for a swim. 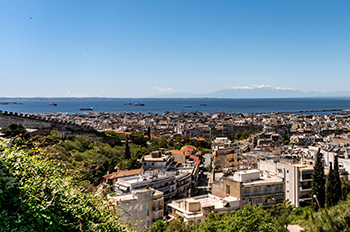 Finally the port of Thessaloniki also connects with Piraeus as well as northern Aegean Islands that during the summer expand their routs to reach Cyclades and finally Crete. 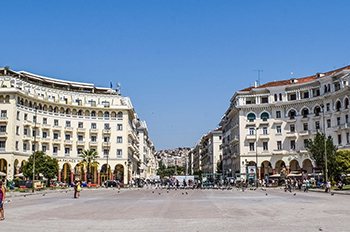 The very heart of the cosmic city of Thessaloniki is Aristotelous Square, constructed after the Great Thessaloniki Fire of 1917, to give the city its old glory. Although more humbly constructed due to budget restrictions, this large square is surrounded by wonderful buildings, with busy and cosmopolitan Aristotelous Street funneling into it. 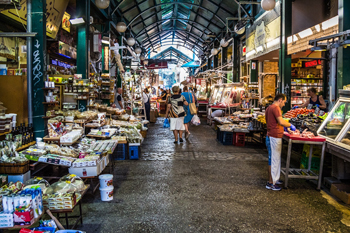 The numerous luxury hotels, restaurants cafes and shopping centers are the best place to sit and observe Thessaloniki's urban hustle. Miraculously missed by the fire, Ano Poli (Upper Town) is the historical part of the original city. The winding peaceful alleyways full of cafes and restaurants and taverns housed on pretty traditional small settlements make this enchanting neighborhood a must visit spot. A walk around the area surprises its visitors when meeting historic attractions such as the Church of Saint David with its gorgeous mosaic in its apse, the 11th-century red brick arches at the Panagia Chalkeon. At Dikasterion Square, visitors come across the archaeological site of the Ancient Greek Agora, which was later expanded to become a Roman forum as the heart of the ancient city. The best-preserved component of the forum is the large theatre, which is still used for occasional summer concerts. Another interesting sight is the 8th century church of Agia Sofia, modelled on the magnificent church of Agia Sofia in Istanbul, containing superb mosaics and wall paintings including a wonderful mosaic of The Ascension. With a bit of trekking or by using a regular bus, the Acropolis of the city is not far fetched and ideal for romantic walks. With its elevated section still surviving, the 2.000 year old Acropolis is worth the visit offering one of the greatest views of the city and especially the sight of the legendary Mount Olympus. 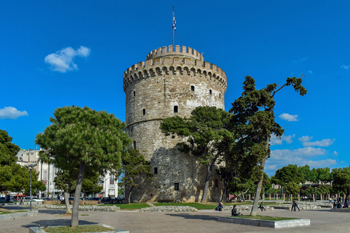 Though a long walk at Thessaloniki’s harbor, one cannot miss the greatest landmark of the city, the White Tower. Built by the Ottomans along with many others to surround the medieval city, to follow their destruction under the threat of piracy in 1866, this remaining former prison, place for executions and fortress is the place where the whole history of the city passed through. Nowadays the White Tower houses the awarded Museum of Byzantine Culture elegantly designed to offer a brief overview of the town’s history. The museum exhibits the finest collection of Byzantine art in Greece, including regional artifacts, everyday objects and artwork, priceless icons, frescoes, sculpted reliefs, mosaics, jewellery, manuscripts, and pottery that reflect the social, religious and political aspects of this period, reflecting the important role of the city. A climb at the top of the tower is well rewarding as of offers a panoramic view of the city and the harbor from its rooftop cafe. 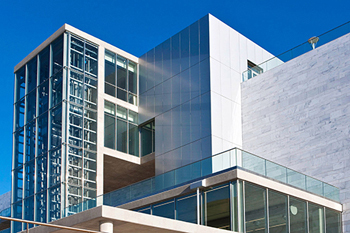 To gain a further insight on Thessaloniki’s history, a visit at the Archaeological Museum of Thessaloniki, is a must. Tracing the old history of the city as well as ancient Macedonia, from prehistoric to modern times, the museum, regarded as one of the finest museums in Europe, is a true house of treasures. Classical and Hellenistic sculptures, spectacular artifacts and mosaics, some exquisite delicate Hellenistic glass, ancient tombs and relics, impressive craftsmanship in gold and precious metals, are featuring the incredible findings of the museum. A 3rd century BC Derveni papyrus, the only intact ancient papyrus found in Greece, along with treasures of the tomb of Alexander the Great's father, Phillip of Macedon, discovered at Vergina, are only some of the most important historical exhibits to be found. Great reminders of the city's proud and ancient past are the Arch of Galerius and the Rotunda, built by the Emperor Gaius Galerius Valerius Maximianus to celebrate his victory over the Persians, depicting battle scenes sequences on the pillars of the archway. The Rotunda, initially built as the mausoleum of Galerius, became the first Christian church of the area at the times of Constantine the Great. However, through the centuries, as the city weathered different religions and empires, the rotunda has been transformed from Roman political hub to polytheistic temple, to Christian church to Islamic mosque and back to Christian church. Currently the Arch of Galerius is a perfect spot for a walk and coffee at one of the many cafes to surround the area, while the rotunda houses Christian art and occasionally holds art exhibitions and concerts. 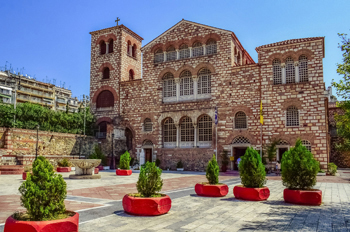 Originally built on the ruins of a Roman bath, the massive church of Agios Dimitrios is honouring the patron saint of Thessaloniki, right on the spot where he was murdered in the 5th century. At the crypt of the martyr today lays a small but impressive collection of artifacts as remains of Roman, Byzantine, and Ottoman occupants of the city. The beauty of the church however lies above ground with gorgeous mosaics on both sides of the altar and a beautiful facade. 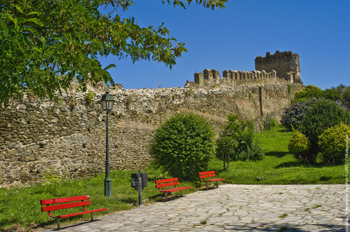 Thessaloniki is widely known for being a historical and cultural centre and a lively 24 hour city. However the amusement seekers will not be disappointed in this vibrant city. The man-made forest of Seih-Sou, also known as the forest of a thousand trees, is a home to the largest zoo in the Mediterranean area. Thessaloniki’s Zoo pays off any visitor, not only by hosting a large variety of animals coming from the Greek wildlife such as bears to wolves, various species of birds and goats, but also with its wonderful panoramic view of the city. Waterland is another fun destination to offer a great day especially for families. This large complex with 150 acres of water pools with sun beds, water slides, basketball, volley ball and tennis courts, as well as gardens with rabbits and peacocks roaming around the duck pond whilst deer, goats and emus are safely tucked into their pens at the animal farm. Another family and teen destination is the Magic Park, thriving in life during evenings to offer fun and amusement.